Our health club Spa is the place where you can go to forget about the stress and worries of daily life. Our experienced team will transport you into a world of complete calm with our personalized spa treatments. Our mission is to provide you with the ultimate in relaxation, rejuvenation and customer service. Our therapists work wonders. Leave the stress behind with a good therapeutic massage from a licensed Sport & Health club massage therapist. We offer a variety of bodywork techniques tailored to your needs — Swedish, deep tissue, sports massage and reflexology — so you leave refreshed and rejuvenated! We’ve got your back! Seated massages are perfect for everyone at the office. 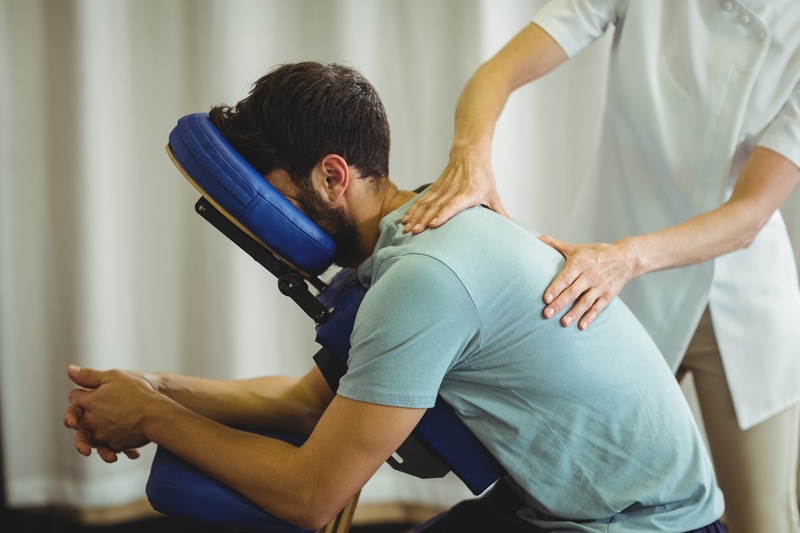 Your employees sit fully-clothed in a specially designed chair while a massage therapist goes to work soothing sore muscles and stretching tight joints. Your employees will feel renewed - and you’re bound to be voted best boss ever! Get Serenity with a massage, mani, pedi or facial anytime you need some time to unwind and treat yourself. Enjoy and relax at three locations in Old Town, Tenley, and Worldgate that have Serenity Day Spas. All Sport & Health club members receive 15% off Mondays through Wednesdays. For more information about our spa services, contact one of our health club locations above in VA, MD, and Washington D.C. To find your local Sport & Health gym near you, search for: gym near me on your mobile device. One of our staff members would be happy to guide you through the process of enjoying our Sport & Health spa services today!